Includes 20/20 Mask, Mighty Light Backframe & Harness, Compass Alarm and Survivair 2216 or 4500 psi Carbon Cylinder (Survivair Panther 4). The Panther CBRN SCBA provides the wearer with respiratory protection in hazardous environments, and may be used for entrance into and escape from atmospheres that are immediately dangerous to life or health (IDLH). 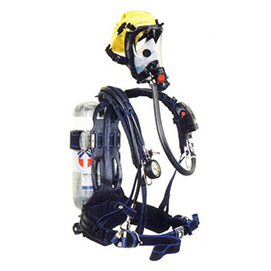 Need a price on Reconditioned Survivair Panther 1992/1997 NFPA SCBA's?